I have been wearing glasses on and off for the last two years, only really wearing them when I drive and watch TV. Until recently when I picked up a new pair from Specsavers Salford and now I feel like they're a fashion piece too. 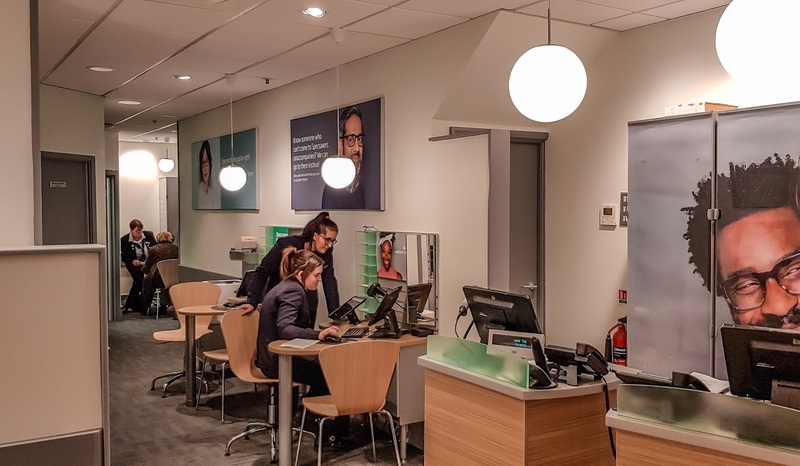 I visited Specsavers Salford where they helped me with everything I needed. They recently had a refurnishing which has vamped up the place, definitely worth a visit. Before having my eye test they sat me down for a hearing test, this can be really helpful for someone who is concerned about their hearing. Different sounds were played through headphones and I had to tap a button on the iPad screen every time I heard one. There's a free online hearing test here. It was then time for my eye test and I was interested to see if my eye sight had got any worse. I have been to some places where I just sit, read some letters out and then leave. But my optician, Mahmoud, was really friendly and helpful. He explained everything to me and even showed me the image of my own eye which was really cool to see (and it was healthy!). If you're someone who gets nervous about appointments, the staff will make you feel at ease. Then for the exciting part... choosing my glasses! The Specsavers Salford employee, Daniel, used the cool technology - Frame Styler. I took a photo of myself using the iPad and then it magically found all the frames that would suite my face. 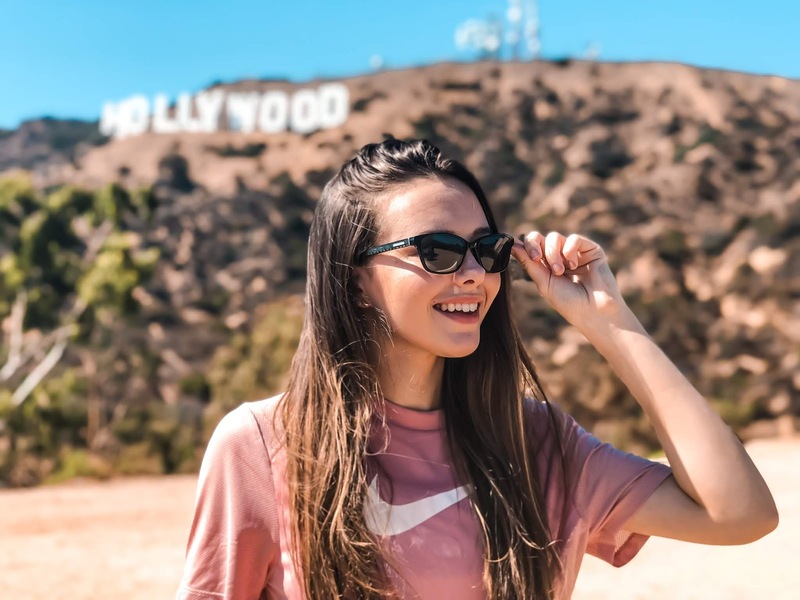 You can use the app to try on different glasses and favourite the glasses you might be interested in (it then shows you similar pairs). It's really handy if you're completely lost and not sure what you want. 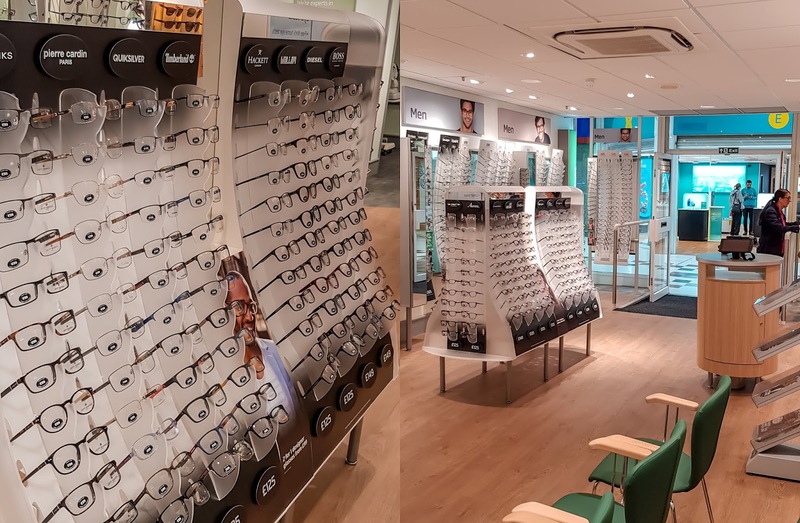 Specsavers Salford have a massive range of glasses and sunglasses. I looked at around the store at everything they had to offer, including their own brand and well-known designer brands. The Karen Millen range caught my eye immediately, the gold metal and chevlon detailing fits my style perfectly. 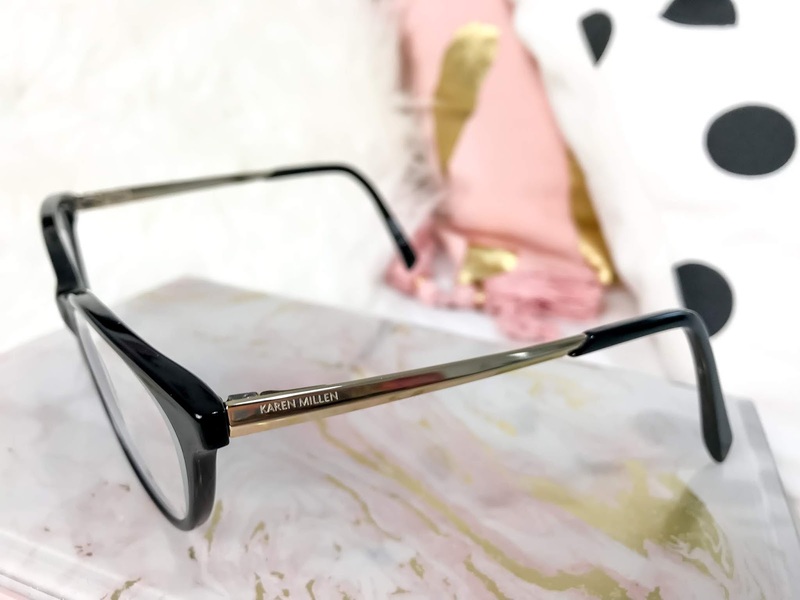 I loved the Karen Millen range so much that I found another frame and asked if I could have them as sunglasses too. This is going to be perfect for LA. The staff sat down and helped me choose all the correct lens types. For example, I went for the UltraDrive Tint which will give you a sharper vision when driving. I also have anti-glaze which is perfect for my blog photos and videos. 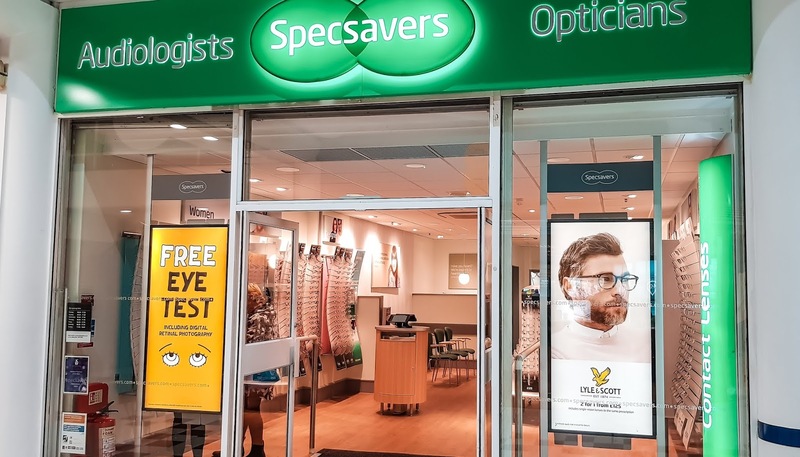 Overall, I had an amazing experience with Specsavers Salford and I will be visiting again when I need a new pair of glasses or an eye test. The staff were really helpful and considerate. I came home with the perfect frames for me.